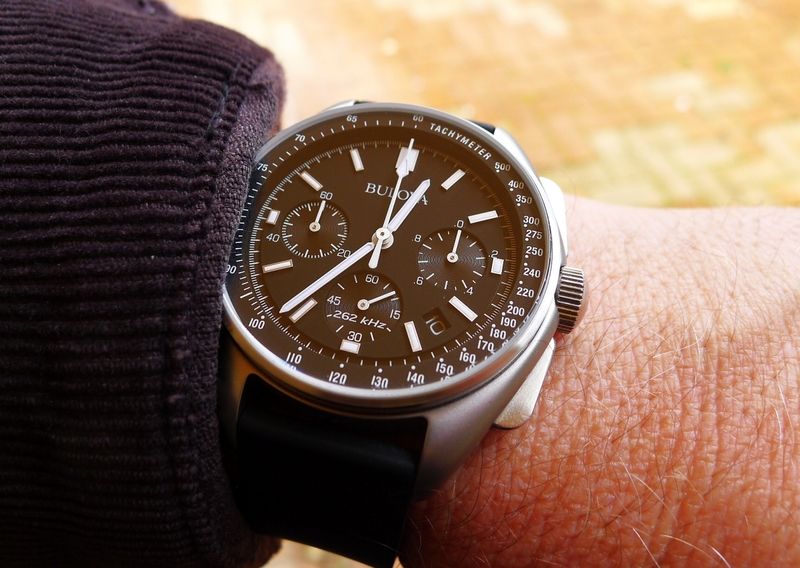 Bulova 98A186 "dark side of the moon"
Thread: Bulova 98A186 "dark side of the moon"
Last year this great watch sold with 3 year warranty, free shipping and 50% discount (500£....250£). With newsletter sign in and add. 10% it was 225£! What do you think?Possible UK discounts this year? Long shot or...? 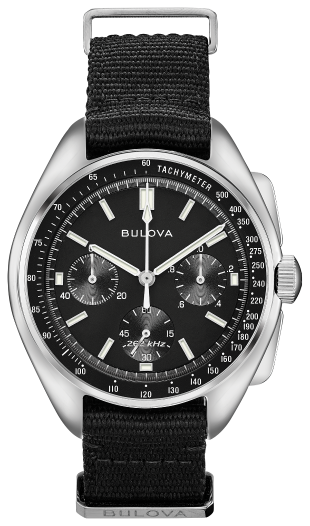 It depends on Bulova's expectations. If they don't sell... the price will come down. Amazon currently has them at £288 which I don't think is a bad price. I agree - that is a pretty good price (heading over to Amazon for a look.......). I don't know when Debenhams had this deal but wow! That is Amazon.com. The cheapest on Amazon.uk is £350. martyloveswatches is in Croatia. I'm in the market for one of these atm and have been looking at prices. 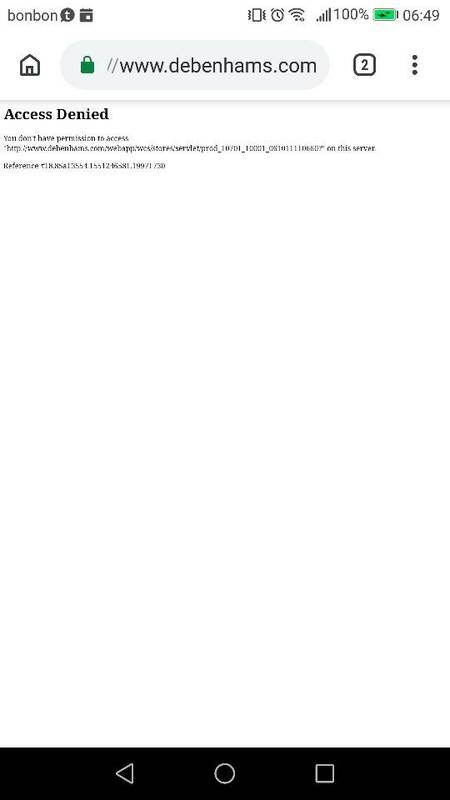 I must have followed that Debenhams link about a 100 times 'just in case' lol. I belive cheapest atm is £315 from HS Johnson. I think it did come down to about £260ish around Christmas. I should have bitten. 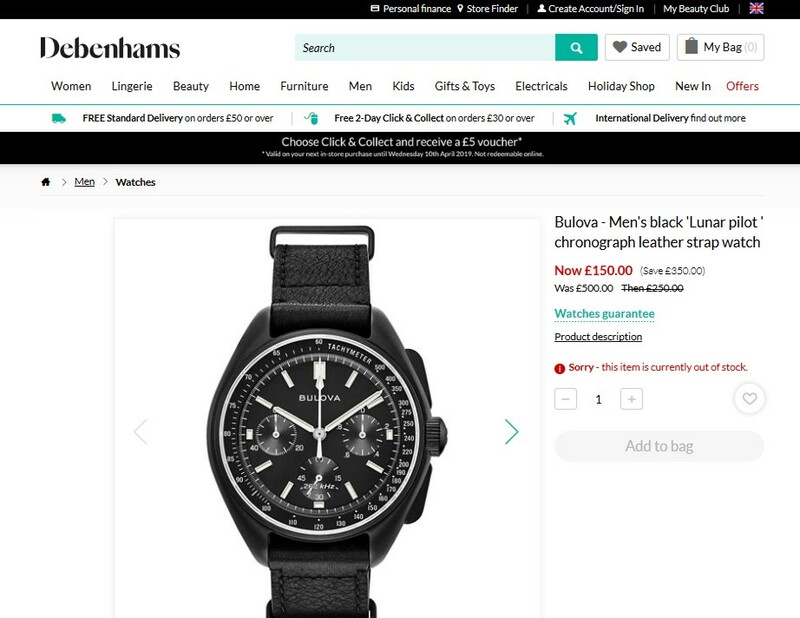 Tried with pricespy uk and Debenham was crazy cheap, but sth is wrong, I cannot open the web site on my comp. or cellphone? !Some scam or? If you stumble across a good deal, feel free to post it! Can you send the link, I ll try to log in (maybe get notified when in stock). Amazon currently has them at £321. What kind of price are you looking for and where are you looking to buy from? Last year it was 250£ at hsamuel.co.ok, with registration and 10% additional discount, 225£! Sorry! I just missed this for you... but you are right, they do come up. I tried to open that link earlier, but cant do it through celphone or PC. Sth is wrong with that...?! I did apologise for missing it. Out of stock for me too! Damn! 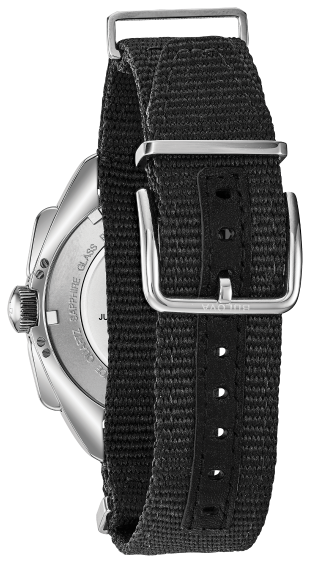 This new edition with the old logo, no date, and curved sapphire crystal, black polyester NATO strap with three-piece buckle closure. Much better, those features were the main reason for me to prefer the PVD. I had a feeling that, that might have been the situation. Now it's a case of waiting for a price drop for you. I don't get the idea behind the nylon nato but one can always change the strap. I can't wait to see some live pics of the curved crystal. I dont wear my watches with ss bracelets (maybe a little) so nylon is OK for me. I still think black PVD is nicer. Also, 45mm can be quite big (no bezel so it loos even ) bigger, so black creates an illusion of beeing smaller. Nice, now the design is right if only they could make it 5mm smaller! HAQs (High Accuracy Quartz) are for people who have finished with impressing others and are into impressing themselves. Last edited by abraxas; 8th March 2019 at 22:58. ... I still think black PVD is nicer. I was just going to say that... the black does appear to wear a lot smaller. 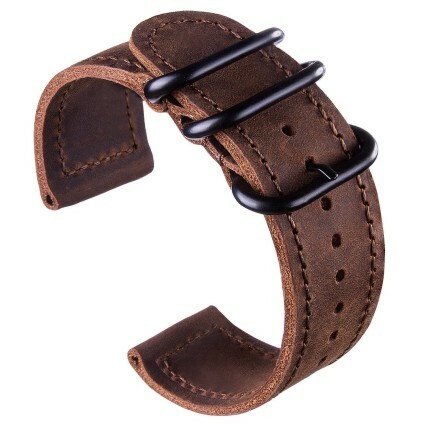 And the leather NATO really suits it well. 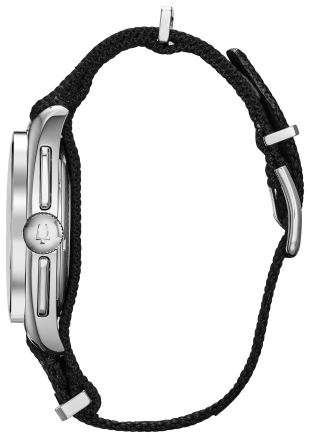 With the PVD you lose all the satin, brushed, and polished, contrasts (of the case) but the advantage of the 'size-reduction' overrides all that. It is interesting that the curved sapphire of the 96A225 seems to have lost the exposed rise of the crystal when viewed from the side. Last edited by abraxas; 8th March 2019 at 22:57. For me the green one looks good too... but not before the original perishes. 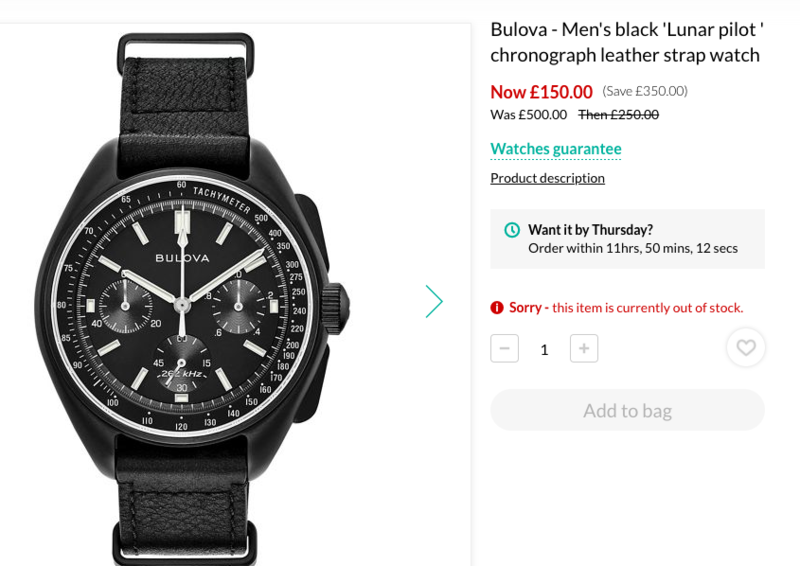 I hadn't realised Bulova had released a blasted finish one with the old logo and no date, I tried one on a while ago but wanted a cross between the non pvd case and no date/old logo dial! This is excellent. It came out a couple of weeks ago. You still won't be out of the woods... because they as yet haven't done an actual reproduction of the moon watch... a steel, no-date, old logo, flat crystal. That will be coming next. Last edited by abraxas; 10th March 2019 at 08:32. It shines like a shiny thing. Last edited by abraxas; 16th March 2019 at 07:31.